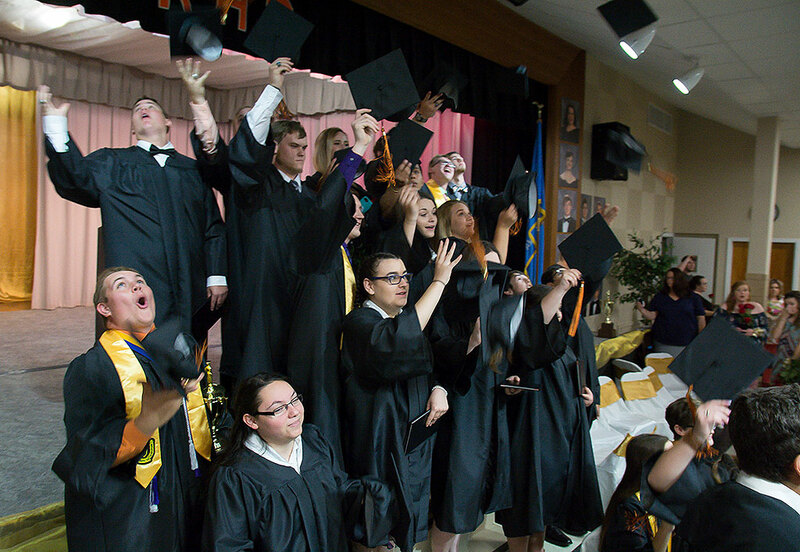 The Ryan, Oklahoma High School class of 2018 throws their mortarboards in the air after graduating Saturday night. 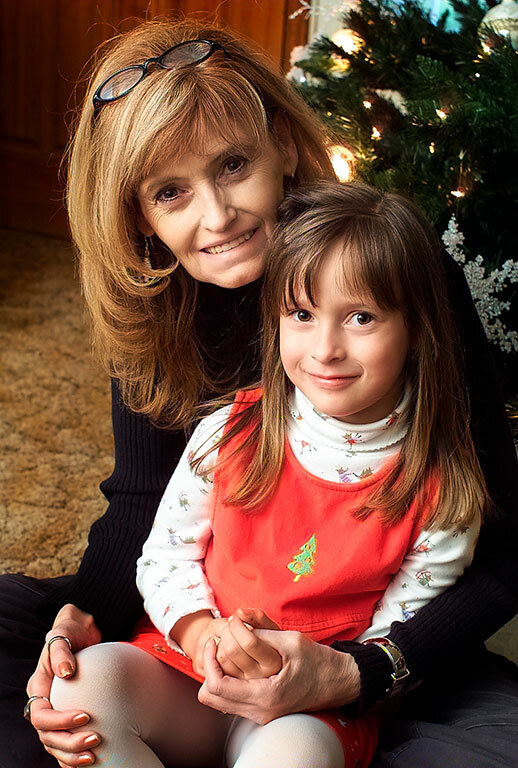 I’ve known Teddy since she was a little girl, pictured here with Abby in December 2004. 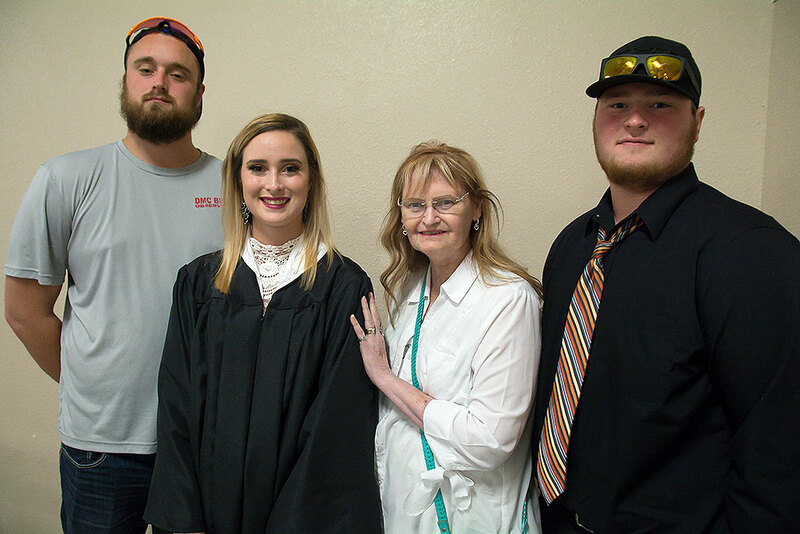 Every year, I work between 10 and 20 graduations, either from high school, the tech center (where I teach), the college, and the occasional ceremony to which I am personally connected, like last night’s commencement at Ryan High School, where my wife Abby’s grand niece Teddy Lauren Brown graduated. I’ve known Teddy for most of her life, and watched her grow up to be, among other things, very much a natural in front of the camera. Readers might remember from my teaching site that I shot her senior pictures in October (link). Our day started with Teddy’s mom, Abby’s niece Amber, buying us lunch at a new restaurant in Waurika, Oklahoma called Doc’s Place. Amber was excited that they offered a vegan option, practically unheard of in a town so small. They made me a black bean burger, which had a good flavor, but which was more like soup on a bun than a burger. I laud them for their efforts to offer healthier choices, and encourage them to perfect the recipe. 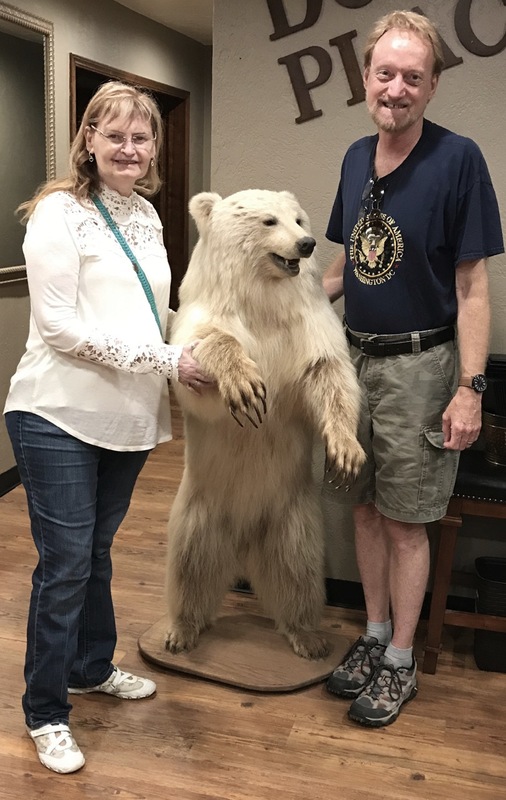 Abby and I pose with the bear at Doc’s. The restaurant is so named because it was once Dr. Stout’s office when Abby was growing up. The fur was very much like the fur of our Wolfhound Hawken. We drove on to Ryan, Abby’s home town, where we helped Abby’s sister make finger food for Teddy’s reception, then changed clothes for the ceremony. So. Graduations. As I said, I see a lot of them, and they have a sameness to them that gets old quick. As with most events involving people’s children, everyone there is only there to see, and to some degree show off, their own kin kids. 20 years ago, the trend in graduations was grunge: kids tried to dress as far down as they could under the cap and gown… flip-flops, hole-filled jeans, vulgar t-shirts… but recently the trend is to try to out-dress-up all the other kids, a trend that does side-by-side with the other expensive school trends, like paying a fortune for senior pictures, seniors teas, senior proms. Holy crap senior proms have gotten expensive, and we all know these are pearls cast before swine. No kid needs an $1800 prom dress. It was a nice time, and everyone seemed happy, but I could do without the pomp and circumstance. Teddy poses with her brothers Gage and Sam, my wife Abby at the reception Saturday night. At my own graduation, I remember thinking I just wanted my diploma so I could be on my way. The huge ceremony seemed wasteful and pointless to me. And I admit I still feel that way, so I have a hard time getting excited when other people announce upcoming ceremonies. This was my first kindergarten class as a principal. I was their principal for 9 years. I also had a daughter in that class until we left. I was so happy that we could come back for their graduation. Taking around 50 minutes, it was quite painless. 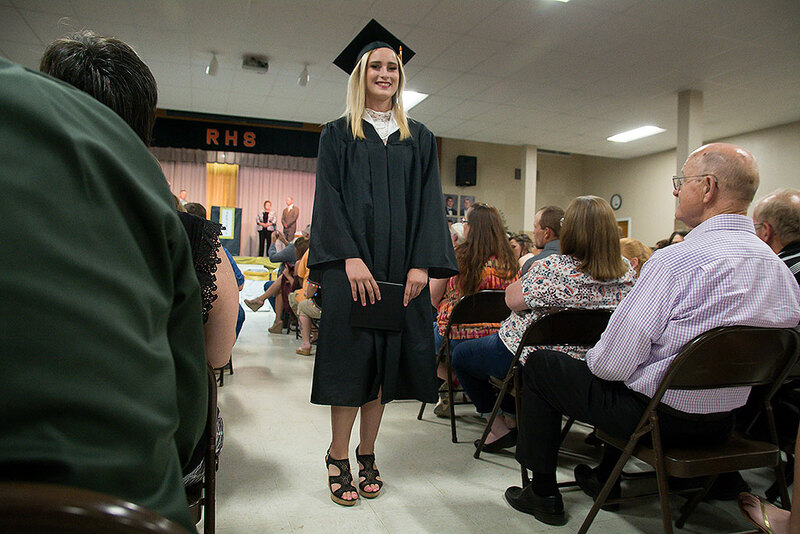 My daughter graduated the night before and that ceremony was about an hour longer with a few more kids. Graduation ceremonies are not for the students. They are for the committee that nurtured and supported each class through school.